LOOKING FOR MORE 2019 Chevrolet Camaro VEHICLE OPTIONS? 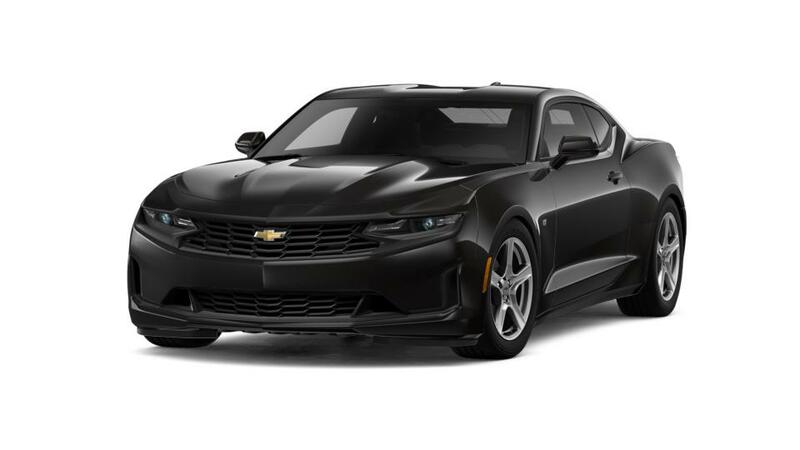 Leading in its class since its introduction, the new Chevrolet Camaro, available at our Detroit, MI dealership, continues to impress even today! This fantastic machine beats the competition, thanks to its powerful engine and sophisticated, nimble handling capability. The interior of the new Chevrolet Camaro, offered at our Detroit, MI store, is as spectacular and brilliant as its exterior. The interior’s rich texture, premium materials and best-in-class technological features, all make driving this vehicle an experience in itself. We are glad to hold a huge inventory of the new Chevrolet Camaro for our Detroit, MI drivers who will settle for nothing less than the best. We also have convenient financing options so that purchasing this vehicle does not become a hassle. Test-drive the new Chevrolet Camaro at our Detroit, MI showroom today! Thank you for browsing our Car Inventory in Detroit - Home of the Downtown Discount! Shopping for 2019 Chevrolet Camaro Cars in Detroit? At Jefferson Chevrolet, we have a huge selection of Cars, Trucks & SUVs to fit your style, needs & budget! To schedule a test drive, or for any questions about your next Vehicle, please Contact Us Online, call us at (877) 685-2307, or Visit the Jefferson Chevrolet Dealership in Detroit! Since 1936, Jefferson Chevrolet has been offering the best deals on Cars in Detroit, as well as outstanding Auto Service & Repair Specials, amazing prices on Genuine Chevrolet Parts, and the best selection on GM Accessories in Detroit. Contact the Jefferson Chevrolet Sales Department at (877) 685-2307 for more Car options, and the Certified Service Department at (866) 295-7092 for auto service scheduling, pricing & info.